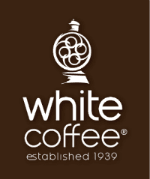 LONG ISLAND CITY, N.Y., Aug. 31, 2011 /PRNewswire/ -- First Colony Coffee and Tea has granted White Coffee Corporation exclusive rights to roast, package and distribute their branded coffees. Labels within this program include "First Colony," "Discoveries," "Bakers Treat" and seasonal labels and gifts. First Colony has ceased operations at its Norfolk plant and will be working directly with White Coffee to insure that their former customers' needs are met.